Are Millennials Reviving This “Outdated” Sofa Style? Slipcovers—at one point, most popularly found in grandparents’ homes and discount furniture stores—are in the middle of a high-style revival. The audience for this one-time “outdated” sofa style has shifted to a younger demographic, and with plenty of innovative brands redefining the look and feel of slipcovered sofas, they might just become a major trend. 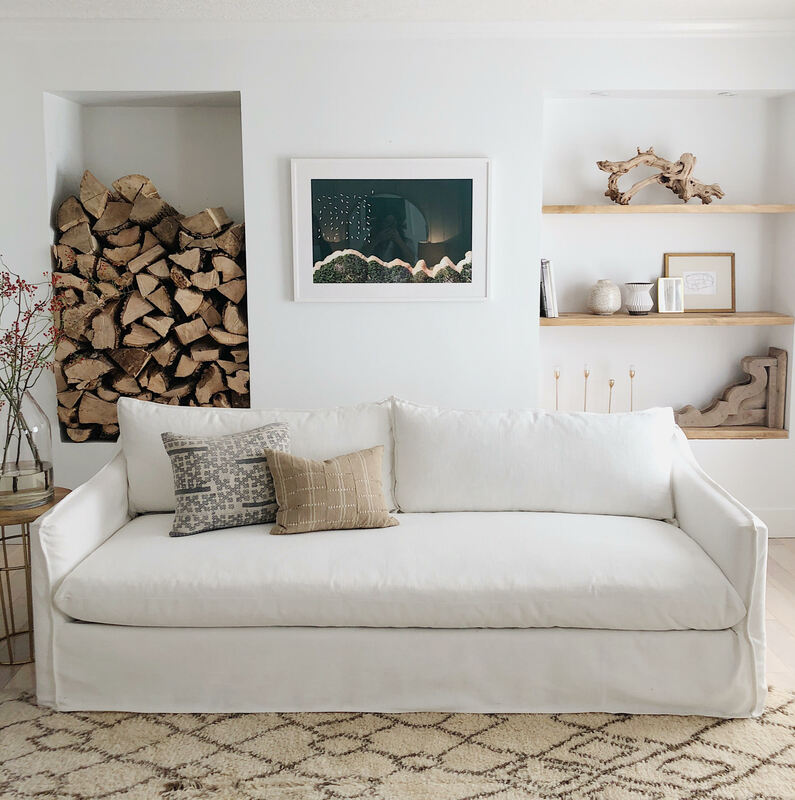 American-made furniture brand Maiden Home reports that millennials have been rapidly opting for its slipcovered sofa, The Dune. Now selling three times as many as it did when the sofa first launched, the direct-to-consumer retailer suggests that slipcovers could very well become the most-sold sofa style this year. While older sofa styles may have featured tacky arm coverings or paneling that doesn’t quite feel contemporary, the slipcover options available now have been elevated to attract the most discerning tastes. This style of sofa is not just a budget piece but something that simultaneously prioritizes form and function. The Dune, with a price starting at $2,425 (and $1,650 for a smaller model), is an investment piece, not a sofa that first-time apartment owners might pick up only to discard shortly after. Thanks to its easy-to-clean exterior, slipcovered sofas are intended to last for years—and they do. But even if affordability is a priority, slipcovers are also a savior. With plenty of elevated Ikea slipcovers available through retailers like Bemz, consumers can make their $300 sofa feel double or triple the price. When things come at a lower price, too, people are typically more willing to experiment. That means you can enjoy having a yellow sofa—and as soon as you start wishing it were blue instead, you can make that swap without shelling out a ton of money. Whether you opt to invest in a pre-slipcovered sofa or use this unlikely trend to reinvigorate a piece you already own, you don’t have to stress about anyone making a mess of your brand-new (or newly upholstered) couch. After all, you can just throw it in the wash. Looking to buy into the slipcover trend? Try one of these picks. The Klippan sofa has been an Ikea staple since the ’80s, and its latest reinvention looks particularly high-end thanks to Art Deco–inspired piping. Flanged seams add an elevated touch to The Dune, while simple white upholstery looks timeless. An overstuffed red sofa makes for a perfectly comfy hangout spot that will always feel fresh—literally and metaphorically. Subtly textured linen transforms that Ikea sofa you thought you were tired of. Consider this the sign you’ve been waiting for that you should definitely get a yellow sofa. Pretty pink makes for a dreamy slipcover situation.